Whether it’s a new or used Volkswagen every vehicle in our San Antonio showroom is engineered with efficiency, performance and safety at its core. Even the most obscure parts for our new and used cars are available at our specialty car parts store, proudly serving Leon Valley, Live Oak and Schertz. If you want to keep your vehicle running like new another 30,000 miles from now, don’t cut corners. Instead, keep it genuine and hug them. It’ll help save you any regrets caused by sub-par performance and unnecessary redoes. 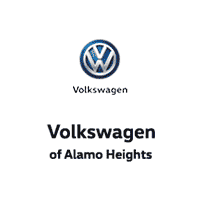 Questions about car parts from Volkswagen of Alamo Heights? Give us a call. Or, better yet, drop by our state-of-the-art parts and auto service center and ask our knowledgeable staff in person. You can order the same way. Or, if it’s more convenient for you, submit the parts request form online. And remember, if you don’t want to do it yourself, you can always turn to our expert car service and repair specialists.